Reported road casualty data from 2014, courtesy of the Department for Transport, is now available and it makes some interesting reading. You can click here to read the full report. The total number of people killed on the roads in 2014 was 1,775, with 113 of those cyclists. 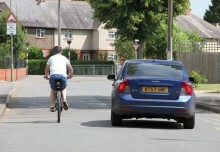 The breakdown between the different road users is shown below. 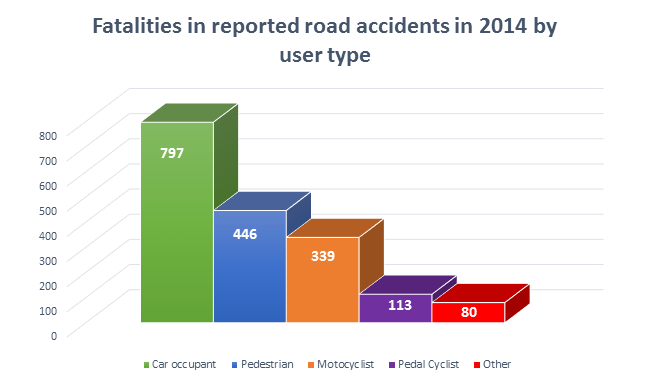 Although pedal cyclist fatalities increased by 4 deaths (3.7%) in 2014, as the figure below shows cyclists account for 6% of all road user casualties, which is the same proportion as last year. In terms of numbers of pedal cyclists seriously injured, in 2014 there were 3,401 cyclists seriously injured, this figure is up 8% on the previous year and accounts for 15% of all road users who were seriously injured in 2014. Despite an 8% increase on the previous year (up from 3,143), the 15% of cyclists seriously injured is the same proportion of the total as last year’s figures. Also on the increase is cycling traffic, up 3.8% on the previous year. 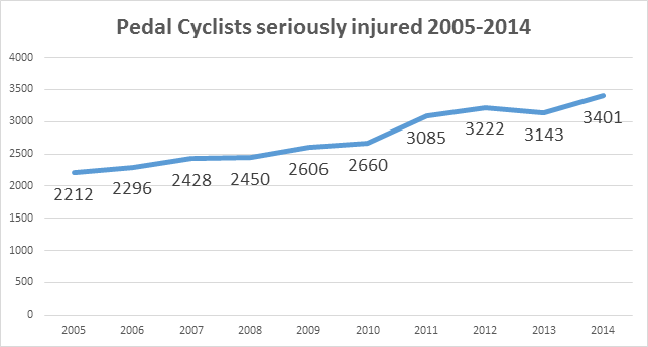 Despite this increase matching the 3.7% increase in fatalities, over the past 10 years, generally the number of cyclists killed has been declining. 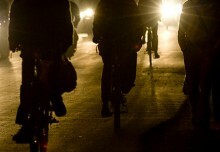 As shown below, since 2005 cyclist fatalities have fallen by nearly 25%, from 148 to 113, with a low of 104 in 2004. This downward trend has however stagnated since 2009, fluctuating between 107 and 118 in the last 5 years. Shown below is the number of cyclists who were seriously injured in the same 10 years period. In comparison this statistic has risen steadily. 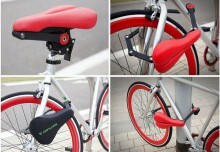 From 2005-2014 cyclists seriously injured has increased by over 50% from 2,212 to 3,401. Overall the new data from 2014 doesn’t tell us a a huge amount. 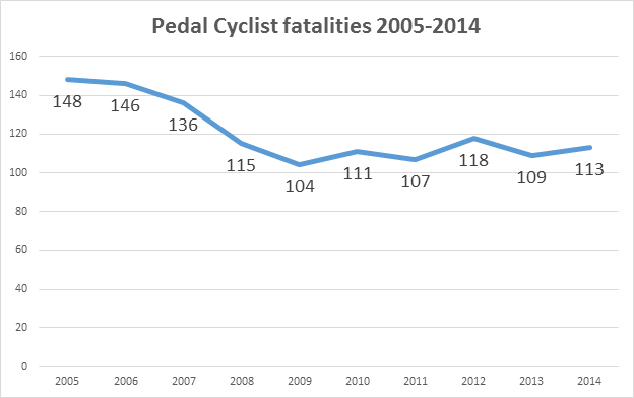 As with the last 5 years, fatalities of pedal cyclist have remained very similar, and the percentage of cyclists killed compared to other road users is also much the same. The statistic which has changed considerably however, not just since last year but over some time now, is cyclists who are seriously injured. It is easy to focus on fatalities as these are the figures which ultimately make headlines, however the steady increase in serious injuries is a statistic that should continue to be monitored and may prompt some further analysis in the near future.